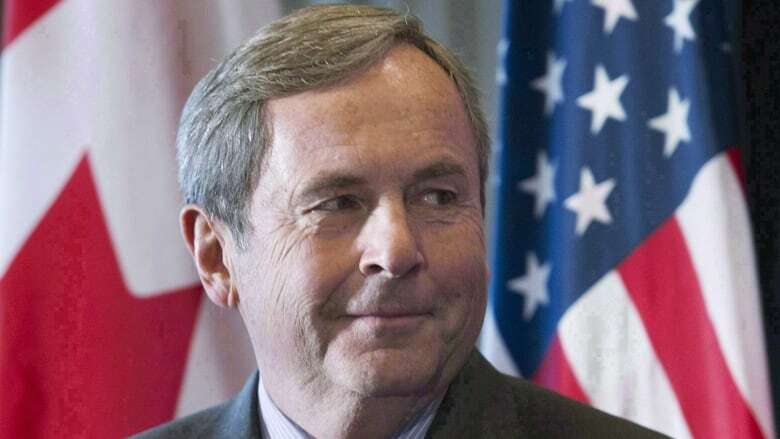 Canada's ambassador to the U.S. David MacNaughton tells Power & Politics he expects NAFTA talks will resume in the next few weeks. MacNaughton says coming to an agreement on autos will allow talks to advance to the outstanding issues of dispute resolution and the proposed "sunset clause." Canada's Ambassador to the United States says he expects North American Free Trade Agreement negotiations to resume in the next few weeks and that securing an agreement on the auto sector will be key to unlocking talks around the remaining sticking points. NAFTA negotiations have been on hold since late May, ahead of the Mexican presidential election on July 1. "I expect that sometime perhaps the end of the month or early in August we will be back at the table. I certainly hope so," Ambassador David MacNaughton said in an interview with guest host Katie Simpson on CBC News Network's Power & Politics on Friday. "We're ready anytime, but its really dependent on the Americans and the Mexicans being ready to sit down and talk." Canada, the U.S. and Mexico were "very close" to an agreement on autos in the last round of talks, according to MacNaughton. He says its in the U.S. interest to push for a deal in this area. "From the U.S. perspective, the problem with NAFTA has been the big trade deficit. The biggest trade deficit is in autos and it is with Mexico. So I think… it has to be resolved," said MacNaughton. "Once that's done we can deal with some of the other issues. Some of them are going to be tough, there's no question about that. But certainly from a trade deficit perspective, which is what the Americans seem to focus in on, that's the biggest item that has been on the table." Mexico has been hesitant to accept significant increases in labour and wage standards in the auto sector, changes both Canada and the U.S. have been pushing for. Sources tell CBC News, Mexico was ready to make some concessions, but when the U.S. refused to back down from its demands for a sunset clause, the Mexican delegation backed away from its willingness to change. The sunset clause, put on the table by the Americans, would force all three countries to proactively agree — every five years — to remain in the trade pact. If they do not agree, the deal will be automatically killed. 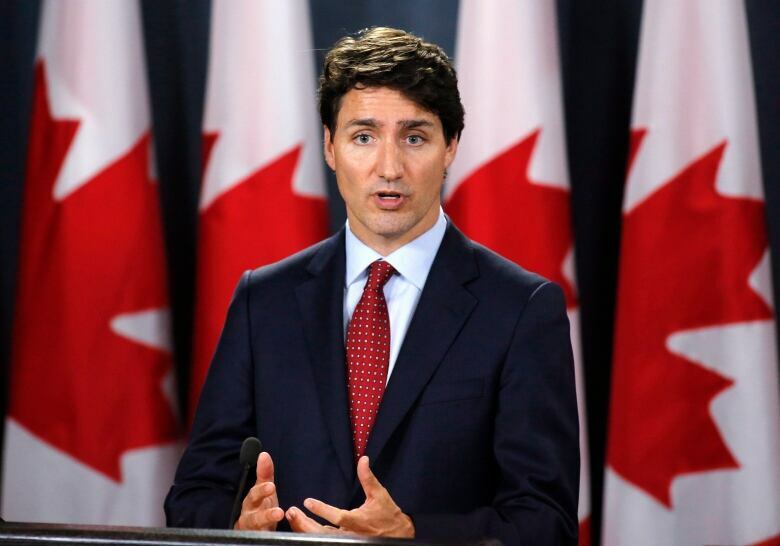 At the end of May, Justin Trudeau cancelled a proposed meeting with Donald Trump after the White House insisted the prime minister first agree to a five-year sunset clause. Trudeau said the proposed sunset clause is "completely unacceptable." Another major concern for Canada and Mexico is American demands to dismantle the dispute resolution process. MacNaughton told Power & Politics that there has to be some basis, currently spelled out in NAFTA's 19th chapter, on which a disagreement can be resolved. "There's got to be some dispute-resolution mechanism. And whether it is exactly how chapter 19 is written at the present moment or whether it's modified, we're open to that. But there's got to be a robust dispute-resolution mechanism within the agreement or it's not really an agreement." Foreign Affairs Minister Chyrstia Freeland is heading to Mexico City next week, along with Finance Minister Bill Morneau and International Trade Diversification Minister Jim Carr to discuss NAFTA. It comes after U.S. President Donald Trump has threatened to pursue bilateral deals with Mexico and Canada, rather than remain in the trilateral NAFTA. MacNaughton said he doesn't think Mexico is interested in a bilateral deal with the U.S..
"I think frankly the push for bilaterals has come mostly from the United States. I think the president has not made any secret for his preference for bilateral deals rather than trilateral or multilateral deals," said MacNaughton. "The reality is NAFTA is a three-way agreement. We want to keep it that way and the Mexicans want to keep it that way and I think, ultimately, that's where its going to end up."